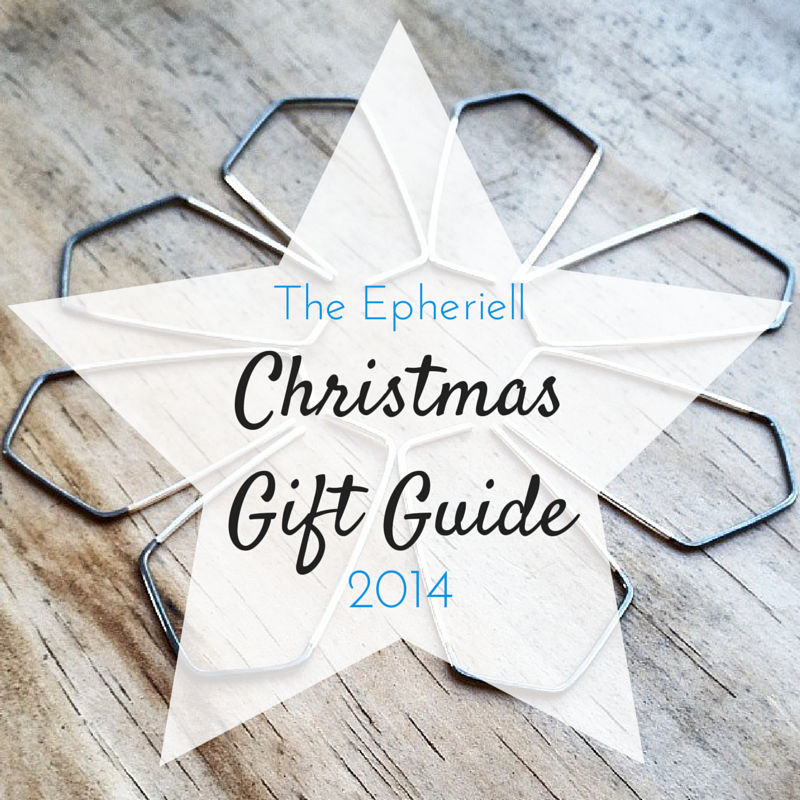 Since Christmas is quickly approaching, it’s time for the annual Epheriell Gift Guide. 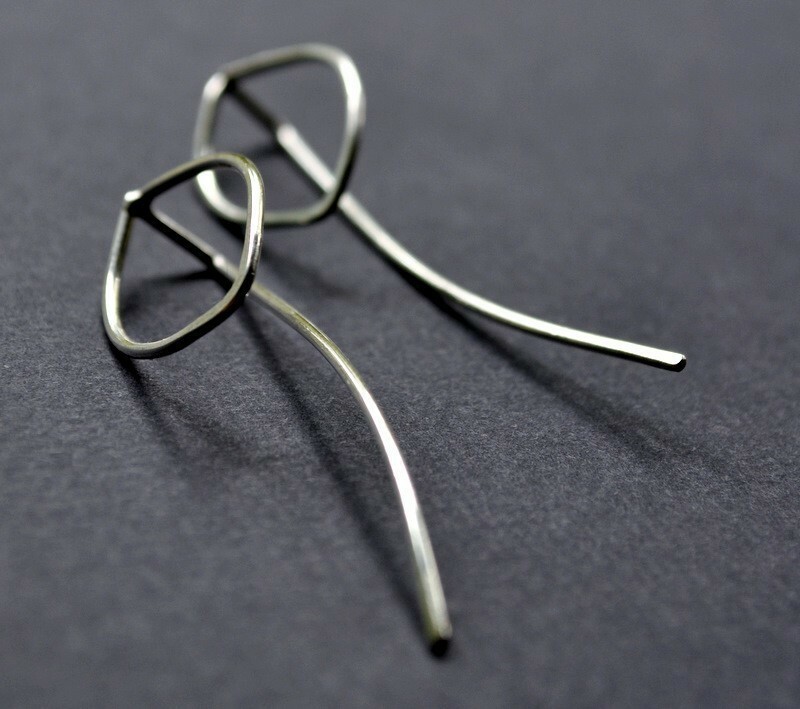 My aim is to help you find the perfect Epheriell piece for the ladies in your life (and one piece for the gents, too – the aim for 2015 is to make more pieces for men!). I know that a shop with hundreds of items can be a little overwhelming to browse through – so this is a great place to find the perfect gift without having to click your way through my entire store. I’ve done the hard yards for you! All gifts are sent wrapped and with a complimentary gift note. If you’re buying a gift, just leave your message at the checkout and I’ll hand-write it on a gift card for you. Snaffle her this matching set – the Two-Tone Geo Earrings + Necklace for a super-modern, unique set of jewellery she can wear forever. 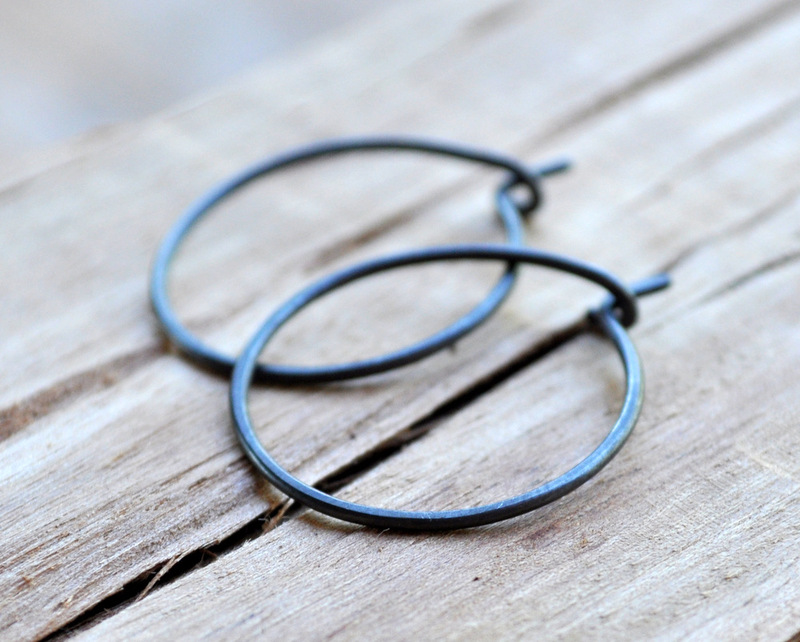 Something classic with a bit of a twist – the Small Oxidised Hoops are a winner here. Or, maybe something else from the Urban Eco Collection? 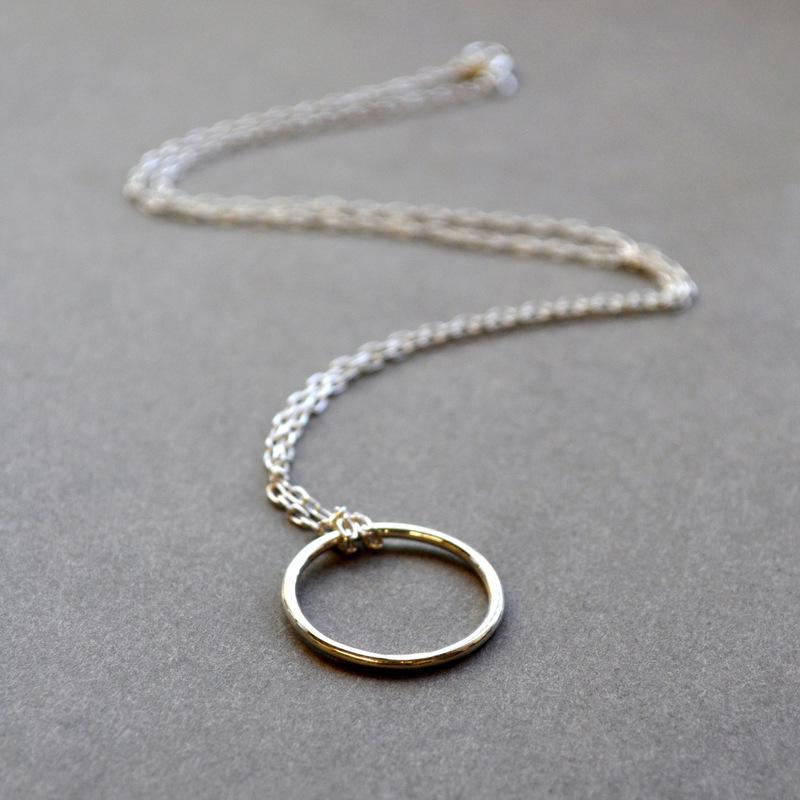 Give her a statement necklace – the long circles necklace is just the thing. 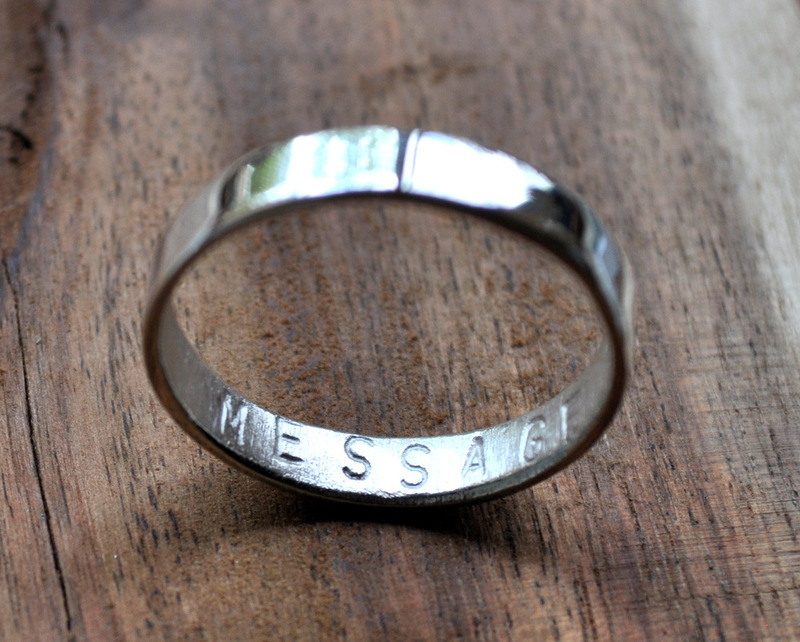 Why not remind her why you love her with this delicate Secret Message Ring. Choose a personal message to have stamped on the inside – maybe a special date, endearment, or a phrase that means something special to the two of you. We married folk (and long-term together folk) always have quirky little ‘in-jokes’ or words that have special meaning to us, don’t we? 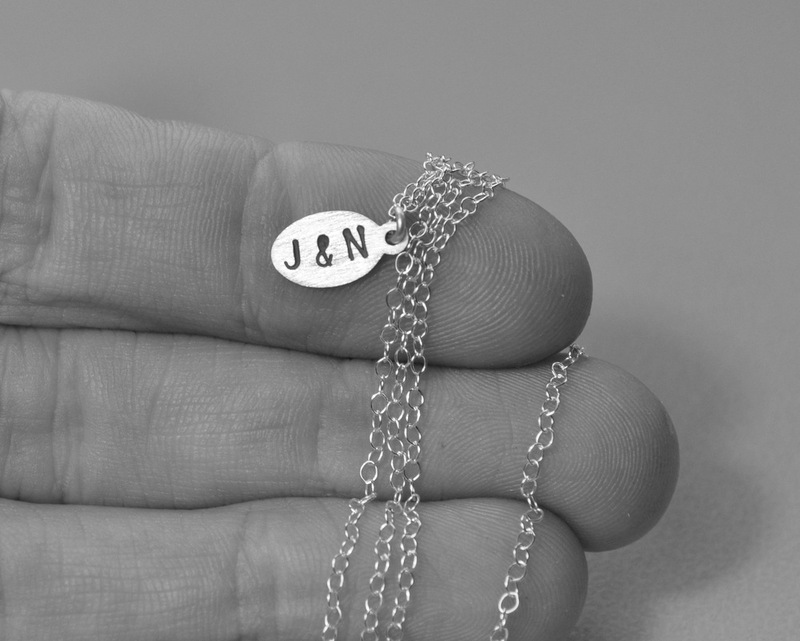 A sweet symbol of your love – buy her a petite custom initials necklace with both of your first initials. 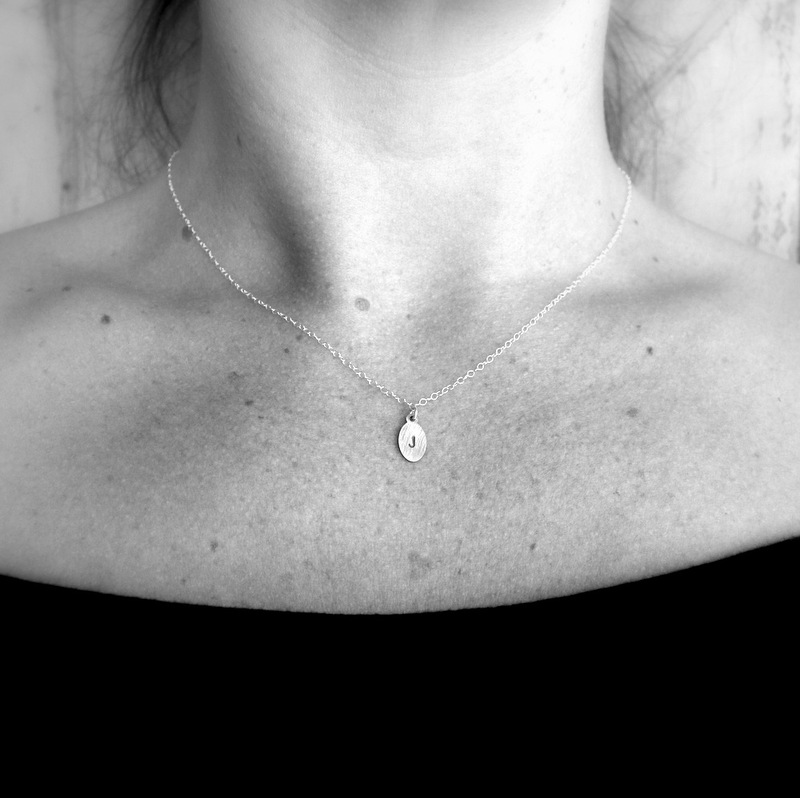 You can’t go wrong with this utter classic – the endless necklace. 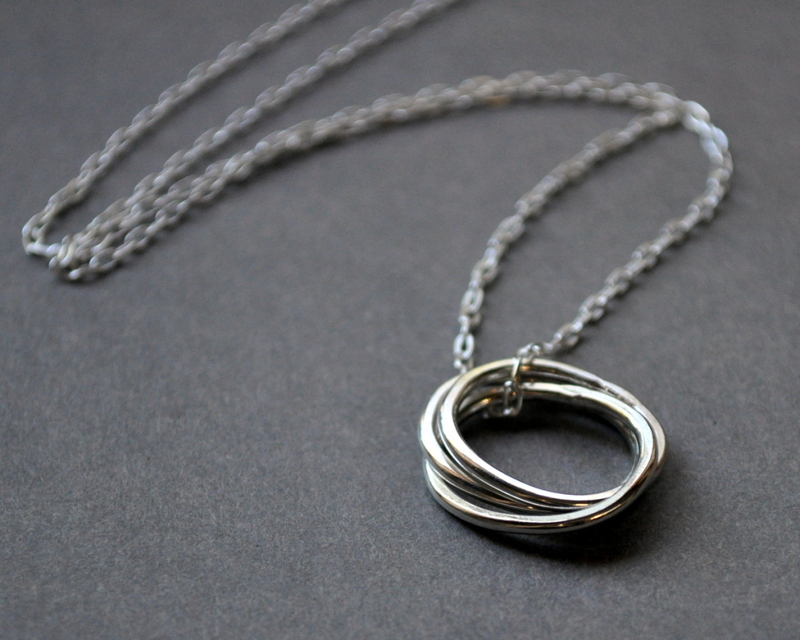 She’ll love this super-delicate petite initial necklace with her first initial stamped into it! 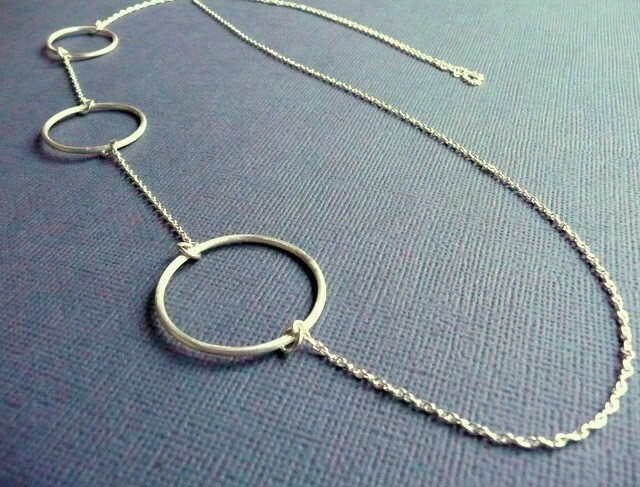 The gorgeous, classic nested hoops necklace will be a keepsake she’ll treasure forever, and will never go out of style. How about this beautiful, unique pair of long leaf earrings? Perfect for the 30-something. 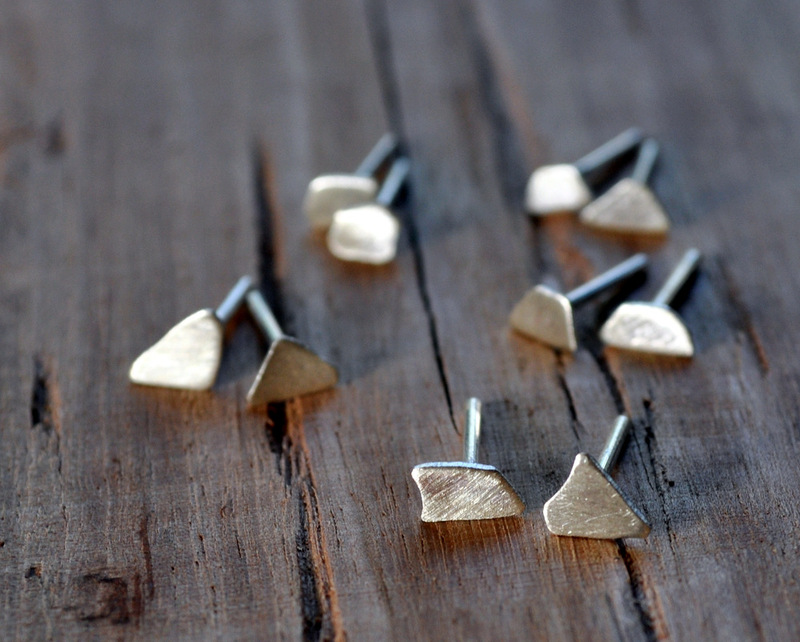 Grab an asymmetrical stud earring… or five! Order them in any quantity you like. 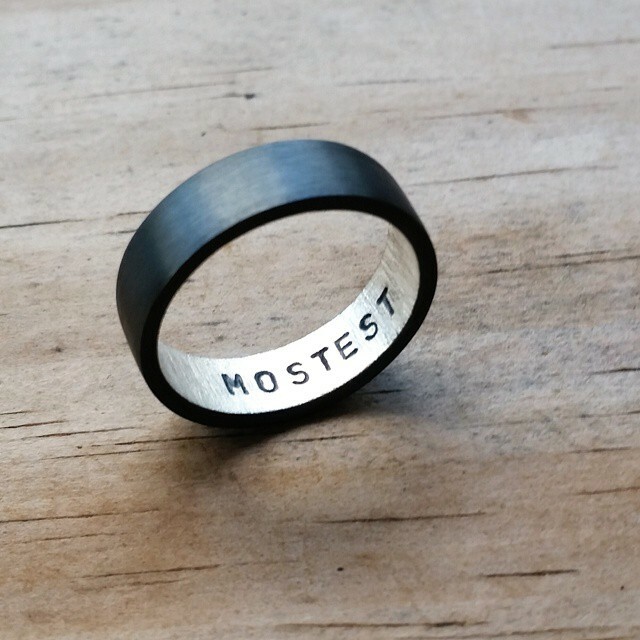 Why not re-affirm just why you think he’s the most awesome guy on the planet – and give him a Secret Message Ring so he can carry a reminder of your love with him always? 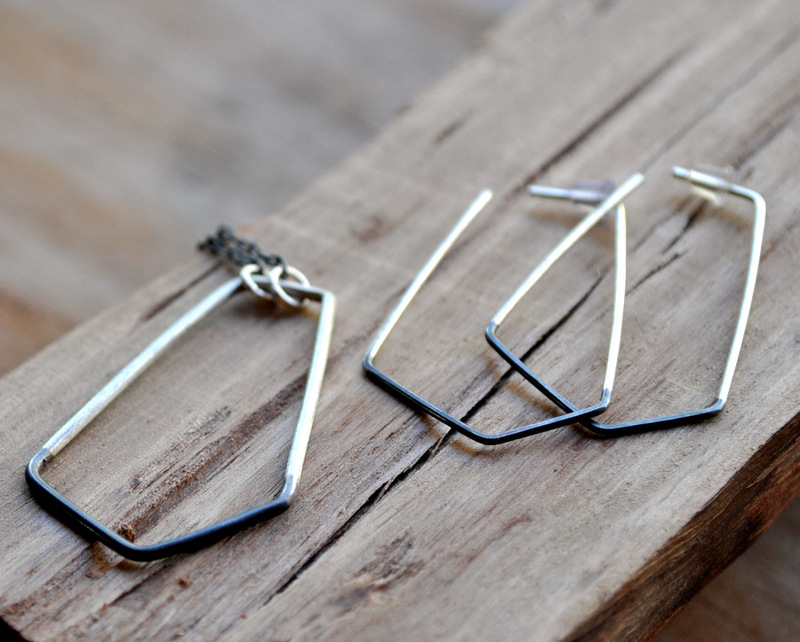 There are high-shine, matte, and oxidised versions to suit any guy’s style. (Just steal his wedding ring to get his size on the sly – and it should fit his ring finger on the other hand!). And hey – why not pop a few silver polishing cloths on your order so you can keep your Epheriell jewellery looking shiny and new for years to come?